Dean Smith has a selection headache ahead of Saturday’s trip to face Reading, with four fit and available defenders (James Chester, Tommy Elphick, Tyrone Mings, Kortney Hause) competing for just two spots and six midfielders (Glenn Whelan, Mile Jedinak, Birkir Bjarnason, John McGinn, Tom Carroll, Conor Hourihane) battling for only three places. While Smith will no doubt be keen to see what his new signings can do, the likes of Tyrone Mings and Tom Carroll might have to be patient before being given an opportunity. Dean Smith’s men are coming off the back of a 2-1 win over Ipswich Town and could line up in a similar fashion to last Saturday’s clash when they come up against the Royals tomorrow. Carroll might be benched in favour of Conor Hourihane who has contributed 12 goals in 21 Championship starts. 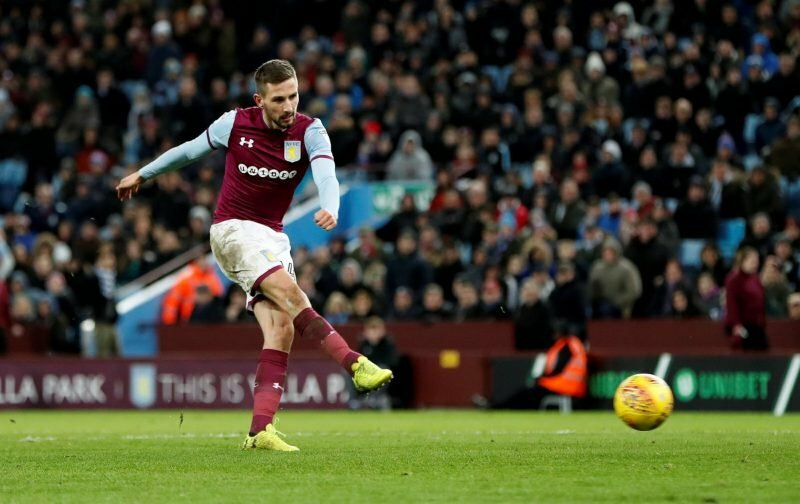 Only Leeds United midfielder Pablo Hernandez (11) and Birmingham City forward Lukas Jutkiewicz (9) have made more assists than the 27-year-old, so it’s hard to see Smith not starting with Hourihane in midfield. Carroll hasn’t played a lot of games this season so he may need time before he finds his feet at Villa Park.